For tickets to the event please visit the Steiner Sports website or call call 516-739-0580 for more details and information. 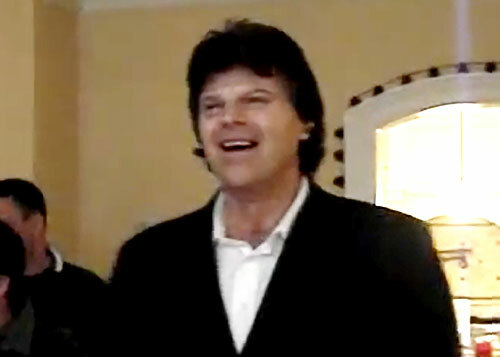 Mark Gastineau played defensive end for the New York Jets from 1979 to 1988. Gastineau was one of the quickest and most-feared pass-rushers of his generation with over 100 quarterback sacks in his first hundred starts in the NFL. Mark Gastineau was a five-time Pro Bowler and a five-time All-Pro from 1981 to 1985 plus NEA NFL Defensive Player of the Year for 1982. Out of the NFL Network’s Top 10 Pass Rushers, Gastineau ranked the 8th greatest pass rusher in NFL History. Gastineau was also part of the famous “New York Sack Exchange” of the New York Jets defensive line which also included Abdul Salaam Joe Klecko and Marty Lyons. PFP Sports & Celebrity Talent Agency is a top booking agent for motivational sports speakers and celebrities. If you would like to book NFL stars like Mark Gastineau for a speaking engagement, personal appearance or special event, you can request Mark Gastineau agent and speaker information from PFP Sports & Celebrity Talent or call 800.966.1380.